Tourist taxes are becoming increasingly commonplace. Find out what sneaky costs you are likely to be hit with on your next European holiday. Venice is planning to charge tourists up to €10 each as it struggles with chronic overcrowding. The charge will be introduced in May, once the council has agreed on the details. It will vary from €2.50 in low season to €10 euros in high season. It is in addition to Italy's existing tourist tax which is paid at the hotel (see below). Almost two-thirds of visitors to Venice are day-trippers, many from cruises, and contribute little economically to the city, despite producing huge amounts of rubbish and disruption. Lots of other popular European destinations have taken to charging tourists a little extra. Often even though you’ve already paid for your holiday you will be asked to hand over extra cash when you arrive at your hotel or when you check out. We’ve taken a look at what tourist tax you will be hit with for a range of popular European holiday destinations. The piece uses information from the European Tour Operators Association (ETOA) and Globehunters. In Austria, tourists have to pay an overnight accommodation tax (including in caravans and campsites), which is charged according to the province you are staying in. The tourism levy, which can go by many names (Tourismusgesetz and Beherbergungsbeiträge are just two) currently ranges from €0.15 (13p) to 3.02% of the hotel cost per person per night in Vienna. Stay in Salzburg and you'll also pay 3.02% extra for your accommodation. Children under 15 are exempt from the tax. In Belgium, there are a range of tourism taxes to watch out for, which vary by city. In Antwerp, there is a fixed rate of €2.39 (£2.09) per person, per night for stays in hotels or €0.53 (46p) for campsites and camper van sites. Accommodation that falls under the Tourism for Everyone decree and children under 12 years of age are exempt from the tax. If you are staying in Bruges there is a tourism tax of €2 (£1.75) per person, per night. This applies to all tourist accommodation like hotels, guest houses and hostels. Ghent has a City Tax of €2.50 (£2.18) per person, per night. Some hotels include the levy in the room rate but other will break out the cost and charge it as a supplement. In Brussels, there is a City Tax which is charged per room, per year according to the borough, hotel size and hotel classification. The ETOA attempts to tabulate the charges here. At the Brussels Novotel, for example, you will be charged €7.50 (£6.55) per room, per night. Bulgaria levies a City Tax or a Resort Tax on visitors, which varies by area and hotel classification. The City Tax is charged per person, per night which ranges from 0.98 Bulgarian (BGN) Lev (44p) to around 3 BGN Lev (£1.34). The Sofia Hilton, for example, charges 1.31 BGN Lev (58p) per person, per night. The Resort Tax is applied in some areas like Litoral, which is charged on a per person, per stay rather than per person, per night basis. For example, the Holiday Village Rusalka charges a resort fee of 15.68 BGN Lev (£7) per person per stay. In Croatia, holidaymakers over 18 have to pay a ‘Sojourn Tax’ which ranges from 2kn (24p) to and 7kn (83p) per person, per night depending on the category of the accommodation and season. There is a 50% discount for those between the ages of 12 and 18. Children under 12 are exempt from the tax. Each town or city falls into one of four categories A-D. Dubrovnik, for example, is in category A. If you know the category of your hotel the ETOA has set out what you are likely to be charged, which you can see in the table below. In France there is ‘Taxe de Sejour’ or tourist tax which is charged per person, per night and varies according to the quality and standard of the accommodation. The rates range from €0.20 (17p) to €4 (£3.49) per person, per night. You can see how the prices breakdown on the service-public.fr website under Grille tarifare. Paris charges an extra 10% on the tax, meaning you'll pay between €0.22 (19p) and €4.40 (£3.84). Children under 18 are exempt from the tax. Kulturförderabgabe (Culture Tax) or Bettensteuer (Bed Tax) are some of the terms used for tourist taxes in Germany. The taxes range from €0.50 (44p) to €5 (£4.40) per person, per night or 5% of the room bill depending on the type of accommodation, room rate and location. In Berlin, for example, you will be charged 5% of the room rate and the tax is capped at 21 successive days. However, business travellers are exempt from the tax. Munich, however, does not have a tourist tax. The ETOA has collated details on cities which currently charge a tourist tax and the cities that have plans to introduce one, which you can see here. At the start of 2018 introduced a tourist tax, the first time one had been levied. You'll be asked to pay the tax when you check in to your accommodation and you can pay it by cash or card. The cost is €0.50 (44p) per person per day for those in apartments and one to two-star hotels, going up to €1.50 (£1.31) in three-star hotels, €3 (£2.62) in four-star hotels and €4 (£3.49) in five-star hotels. Visiting Budapest? You'll have to pay an extra 4% of the price of your room per night. In Italy, tourists have to pay a tax called Tassa di soggiorno. The charge varies from city to city, will depend on a hotel’s star rating and is levied on a set number of nights and there are usually exemptions for children. In Rome, for example, you can expect to pay €3 (£2.62) and €7 (£6.11) per person per day for up to 10 days of your stay. Children under 10 are exempt from the tax. A table with a breakdown of the current taxes in popular cities can be found on italyvacations.com. In the Netherlands, visitors get charged a tourist accommodation tax called Toeristenbelasting. It's charged per person, per night in nearly all the 421 municipalities according to the ETOA, but can vary according to hotel grade and accommodation type. The rest either charge a percentage, which can also vary by hotel star rating or type of accommodation, or nothing. For example, in popular tourist hotspot Amsterdam there is a 5.5% City Tax based on the room price. The city plans to raise this to 7% but a date for the increase has yet to be announced. You can find more detailed information on the Cijfer Nieuws website, which has a summary page with a link to each province. Since January 2016 visitors to the Portuguese capital of Lisbon have to pay a Municipal Tourist Tax of €1 (89p) per person per night. Children under 13 are exempt from the overnight tax and it only applies to the first seven days of your stay. In March, Porto introduced a €2 (£1.75) tax per person per night, with the Algarve region currently debating the introduction of a tourist tax. The Romanian tourist accommodation tax called Taxa Hoteliera Locala. It has been standardised to 1% and is charged against the total value of the accommodation for each night. However, if the accommodation is in a tourist resort the tax is for the first night only. Tourists under the age of 18 are exempt. Slovenia also charges a tourist tax, which ranges from €0.60 (52p) and €2.50 (£2.09) per person, per night but varies on location and hotel grade. In May, taxes in the capital Llubljana doubled to €2.50 (£2.09), whilst in Vaneča, Fokovci, Vino and Moravske Toplice the tax is currently €1.01 (80p) per person, per night for adults, according to the ETOA. The reduced prices for children can also vary. Generally, children under seven are exempt, while children aged between seven and 18 are charged at half the rate. 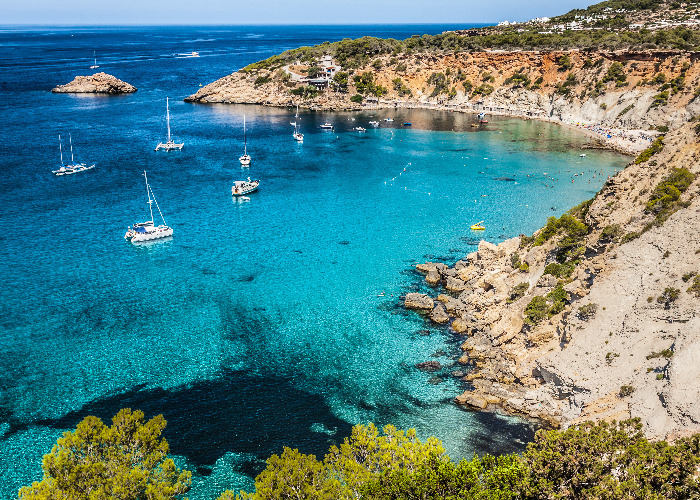 If you're heading to Ibiza or Majorca, you'll be hit with double the tourist tax of 2017. The Sustainable Tourist Tax, which applies to holiday accommodation on Spain’s Balearic Islands, doubled in May and applies to each holidaymaker aged 16 or over. Those staying in luxury hotels pay €4 a per person, per day (£3.50 at the time of writing), €3 (£2.62) for mid-range hotels, €2 (£1.75) for apartments and cruise ship visitors - even if you don't stay on the islands - and €1 (87p) for campers and hostels. Prices are halved if you're travelling from November to May and the tax drops by 50% after your ninth night on the island. The money raised from the 'eco tax' will go towards the protection of resources on the islands. Even if you've already booked your holiday the tax will apply, with a family of two adults and two children paying around €92 (£80) for a fortnight in a four-star hotel. Apart from the planned increase in the tourist tax for the Balearic Islands, Spain also charges people visiting the Catalonia region, a tasa turistica. You will have to pay between €0.45 (39p) and €2.25 (£1.96) per person, per night, for the first seven nights, which depends on the hotel category and whether you are staying in Barcelona. The table below sets out what you are likely to pay. The tax is subject to VAT on top of the prices listed in the table. However, children under 16 are exempt. The Canary Islands are considering introducing a tax but so far has yet to do so. Anyone staying overnight in Switzerland has to pay a tourist tax. According to the ETOA it is charged per person, per night and varies by town and in some cases by type of accommodation. The BA tax goes towards paying for tourism advertising and maintaining infrastructure in regions, but the Kurtaxe is used to improve the tourism experience for visitors. However, as each Canton in Switzerland determines how to set the taxes there can be further variations. Generally, you can expect to pay around 2.5CHF (Swiss Francs - approximately £1.85) per person per night.